You may have noticed that when uploading photos to Facebook and other social media platforms that the quality is somewhat horrendous even if you uploaded a high resolution image. There is a simple reason for this, and that is whenever you upload an image unless it meets a very strict criteria, the platform (Facebook, instagram etc) will compress the image to reduce the file size and therefore save space on their servers. You can get round the restriction when uploading an album to Facebook by pressing the ‘upload high quality’ option BUT this doesn’t help when uploading a single image on a post. But panic not there is an easy solution which varies slightly on which platform you use! Facebook: simply resize the image so that the longest side is 2048 pixels in length. 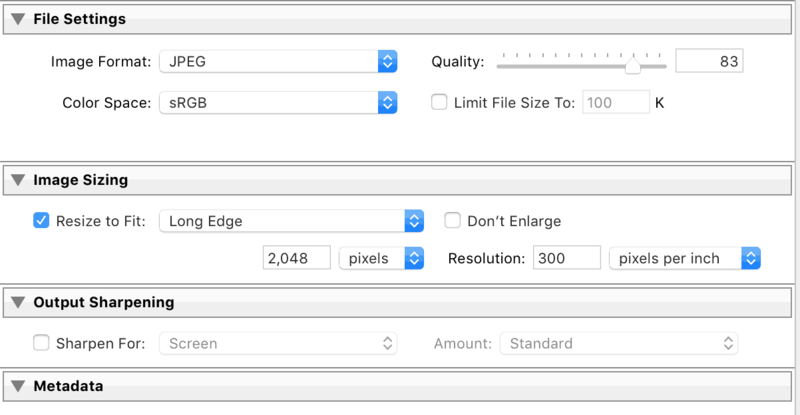 I discussed this briefly in my post regarding PPI, but essentially most compression programs work on multiples of 1024 which was a previously widespread screen resolution. You could resize to 1024 which will look good on most laptops etc but if you are looking for your photos to look at their best I suggest 2048. Twitter will only display the image at a maximum height of 750px and a maximum width of 560px for retina displayed mobiles. It will also only accept files with a maximum file size of 1mb. Because of this I would suggest again saving your image as per Facebook at 2048 on the long side but ensuring the file size is under 1mb. If the image is over 1mb I would reduce the dimensions to 1024 on the long side. Instagram: For Instagram the best size is 1080 pixels on the long side with an image size ratio of anywhere between 1.91:1 and 4:5. If the image ration is too large, for example 4:6 then Instagram will crop the image. You can manage what part of the image is cropped at the time of upload. Personally I still upload a 2048 image but as my images are mainly 4:6 ratio I am careful regarding cropping especially if using a watermark. Other platforms vary but if you keep to 2048 as a general size rule you shouldn’t encounter many quality issues. By saving at 2048px on the longest side you then have one image that can be used on almost all platforms without issue that will upload without a loss of quality. The only thing you will need to watch out for is the cropping on Instagram!